The restored trilogy will premiere in New York and Los Angeles this January. “I am not the father of neorealism on screen, you are,” said director Roberto Rossellini to novelist, playwright and filmmaker Marcel Pagnol, one of the most prolific artists in the early years of cinema. Now, many will soon be able to watch one of Pagnol’s defining works in his career: the epic “Marseille Trilogy,” a saga of love, labor and good food in 1930’s France, which will return to theaters in a brand-new 4K restoration this January. 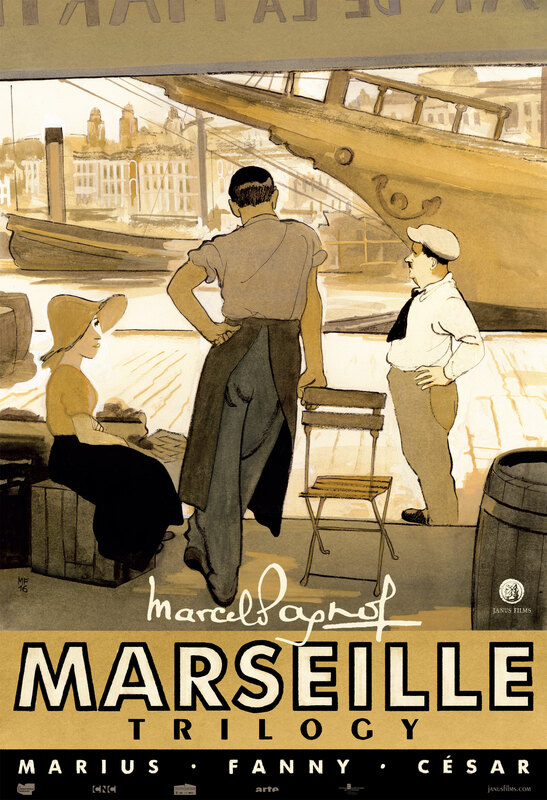 The series follows young barkeep Marius (Pierre Fresnay) who is in love with the cockle monger Fanny (Orane Demazis), but cannot quell his wanderlust. Stretching out over years, their romance plays out amidst many provincial characters, like Marius’ father César (Raimu), who struggles to keep his family and community together, and Honoré Panisse (Fernand Charpin), the aged widower vying for Fanny’s hand. See an exclusive poster for the film below. Though directed by three different filmmakers, the trilogy is written by Pagnol and thus governed by his distinctive voice and style. The first film “Marius,” directed by Alexander Korda, follows Marius and Fanny when they’re young and destined to marry, but Marius cannot over his urge to voyage on the open sea. The second film “Fanny,” directed by Marc Allégret, follows Fanny’s grief after Marius’ sudden departure and her sudden pregnancy. The third film “César,” directed by Pagnol, takes place twenty years after “Fanny” and follows Fanny’s son Césariot (André Fouche) and his search for identity. The restored trilogy will premiere at the Film Forum in New York City on January 4 and at the Laemmle Royal Theatre in Los Angeles on January 27, courtesy of Janus Films.